While I take him at his word that Ryan is resigning for family reasons, no doubt that is only part of the reason for his decision. The major factor, which should give Trumpers pause, is that Ryan knows perfectly well he would not be in the Speaker's chair next year. All signs point to the Democrats retaking the House next year in the mid-term elections. The only question appears to be how many seats the Democrats win. Forty seats or more appear attainable by the Democrats. (24 are needed to flip control). Given the trend of congressional special elections, it would appear that GOP seats never before seen as competitive are within reach of well-funded Democratic opponents. 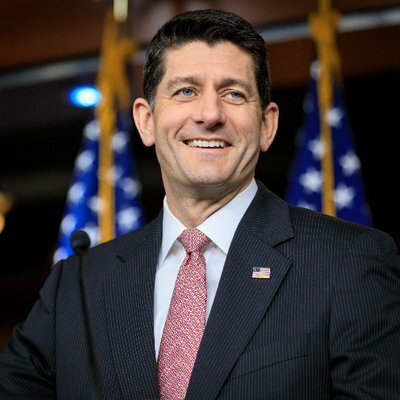 Ryan was very popular in his district, winning his race 2016 by 35 points, President Trump only won Ryan's district by 10.3. The Ryan retirement overshadowed another significant congressional retirement. Republican Dennis Ross announced he was retiring after eight years. He won his Tampa-area congressional district by 15 points in 2016, but Trump only won the district by 10. As a side note, Ryan and Ross' 2016 election results were not an anomaly. The rarely-mentioned fact is that Republican congressional candidates in most districts ran ahead of the President. Ryan did not want to be part of the powerless minority in the House. Even more so, he did not want to lead the fight as minority leader against the inevitable and, quite possibly successful, move by Democrats to impeach Trump in 2019. Ryan's legacy would have been further tarnished by being put in a position in which he had to vigorously defend the President's conduct outlined in the upcoming Mueller report to Congress. Ryan is only 48 and has plenty of time to re-enter the political scene. I am deeply disappointed that Ryan turned out not to be the fiscal hawk he professed to be. Ryan, after all, played a role in adding over 1.5 trillion dollars to our deficit...in a time of full employment and 3% growth. It was not all Ryan's fault though. He needed a Republican President to succeed in his fiscal goals, but the GOP instead chose to nominate a candidate who brags about his nickname, "The King of Debt," the one Republican presidential candidate who refused to consider taking on the problem of entitlements. Ryan has long known that entitlement reform is the key to fixing the problem with debts. Trump not only failed to provide Ryan the executive leadership he needed to succeed as Speaker, in one of the few areas in which Trump held a consistent position - entitlements, the President actively undercut Ryan's mission to get control of this country's debt. We may yet lose the Senate as well. The only chance we Republicans have to hold the White House in 2020 is to run someone other than Trump or Pence. Pantywaist Pence is not electable he is too tied to Trump now. Pence never was a conservative. His record shows that much. His votes were never relevant in the House. Gary Welsh had Pence nailed. Lose what? Rs and Ds agree on war and debt.